Hymn #48 -- "Glorious Things Are Sung of Zion"
There must be very few hymns in the entire world that go into the kind of detail Hymn #48 goes into about the city of Enoch, Zion, the pure in heart. This is true blue new Latter-Day Saint doctrine from the Pearl of Great Price. 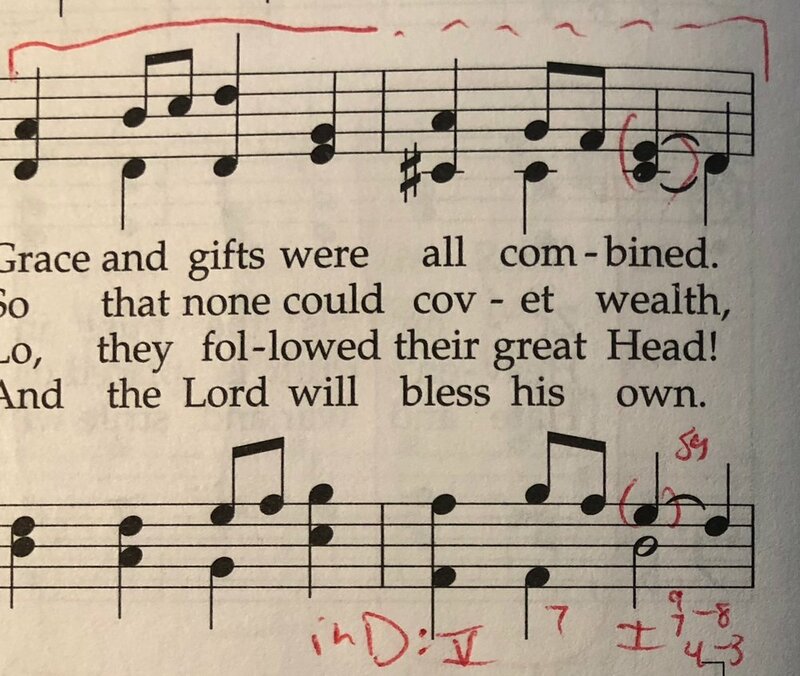 So why was the 1985 hymnbook committee happy to set such a text to an old hymn? I don't have anything wrong with the music. I think it's a first-rate hymn setting. My only musical gripe is that lines 1, 2 and 4 are exactly identical. It seems a shame to waste the opportunity for delightful variation. But as it's an old Dutch melody from the early 1700s, that's hardly a good reason to find fault with the composer, whoever he or she was. The 1950 hymnal had a version of this great W. W. Phelps text set to music by Joseph L. Daynes. But it was in the choir section and not deemed suitable for the congregation. If I had been on the 1985 hymnbook committee and this text came up as part of the discussion, I would have suggested a new musical setting be composed. I probably would have volunteered myself to compose it. Maybe I'll give it a whack now? It just seems like a big wasted opportunity to create a new musical setting to go along with the new doctrine presented here. Since lines 1, 2 and 4 are identical, there's not much to say about them, except for the fact that they are well crafted and have a nice melodic shape with plenty of interesting motion in the other voices. Line 3 is a lot of fun. It starts off by moving out of the key of G right away with the F-naturals. We get a full-blown authentic cadence in A-minor by the end of the 2nd bar in line 3. The second half of the line begins in a perfect sequence up a step, but this only lasts for most of a bar before cadencing with a similar suspension as was used in the A-minor cadence. This is definitely imitative writing, if not a full out sequence. Then we return to the now slightly over the repetitive identical music we heard in lines 1 and 2. And that's all there is. I vote this hymn stays, but I'd prefer that a new setting should be composed. Again, I have nothing against this setting and I know that it is music which is found in many other hymnals. If anyone is looking for a hymn text, this is an excellent candidate. P.S. Are you ready for another set of eyeballs to read through your new hymn or primary song. I'm ready to lend a hand. Click below and tell me a little about yourself and your original hymn or primary song. I'd love to offer some helpful critiques. Click below. Commentary form "The Bench Warmer"
This tune is another found in many hymnals, but I think the harmonization in our book is stronger or better than the harmonizations I have seen and played in other hymnals. It is a very good tune, paired with an equally good text. A good example of an interesting and well-done tune. This hymn is labeled “majestically,” and I think sometimes we read too much into these markings or only interpret them in one manner. I think that the temptation with this hymn is to equate slow with majestic. That is reflected in the slow tempo suggestions in the hymn. I think a nice majestic tempo for this tune is quarter note equal to 112. This tune has energy bursting out of it that is lost if the tempo is too slow. A nice bright tempo keeps the energy and is majestic. Like the hymn before, a good principal chorus to mixture is very appropriate, adding to it with a nice chorus reed at the fourth verse.